30 Million? That’s A LOT of flowers!! 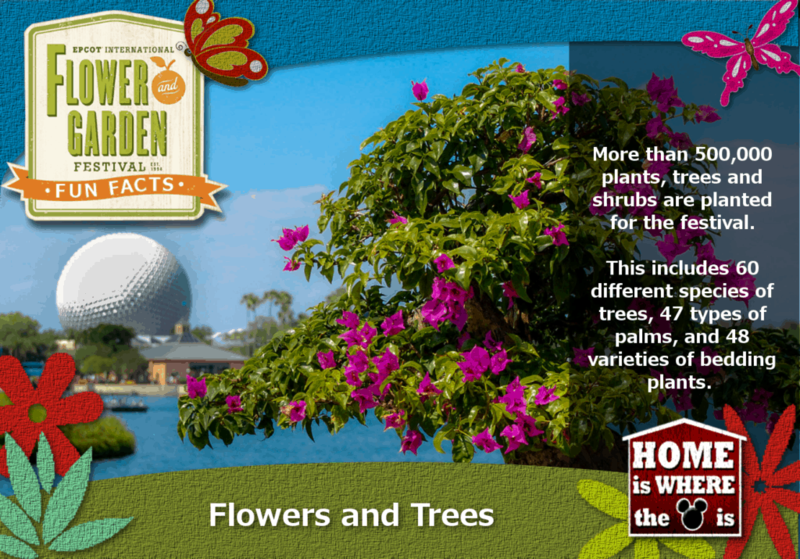 30 flower towers can be found throughout Innoventions Plaza. 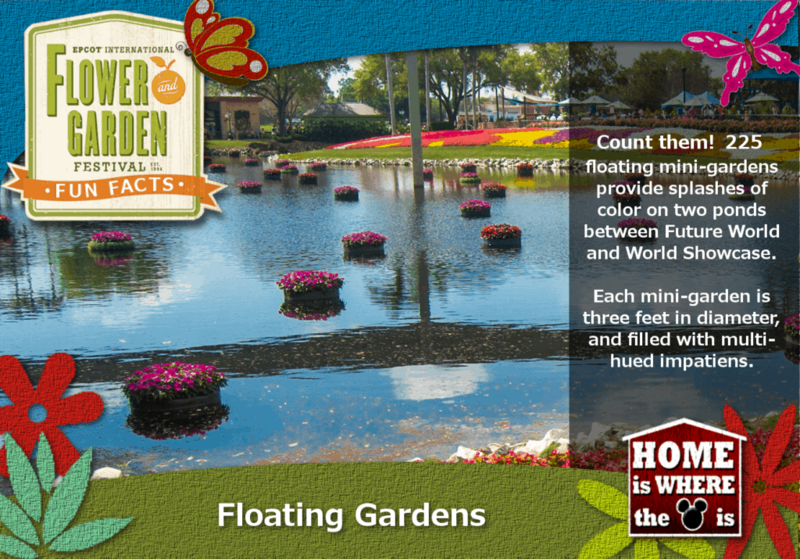 700 container gardens of flowers, herbs, plants and vegetables in clay pots, barrels and urns help decorate the entire park. 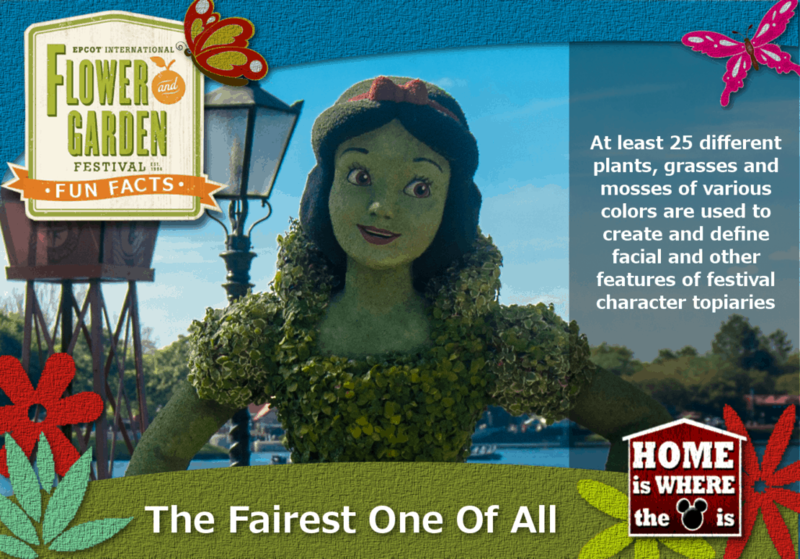 Dozens of additional character topiaries represent the largest collection of Disney character topiary in the world and include Timon and Pumbaa, Cinderella, Belle and Beast, and Phineas and Ferb. 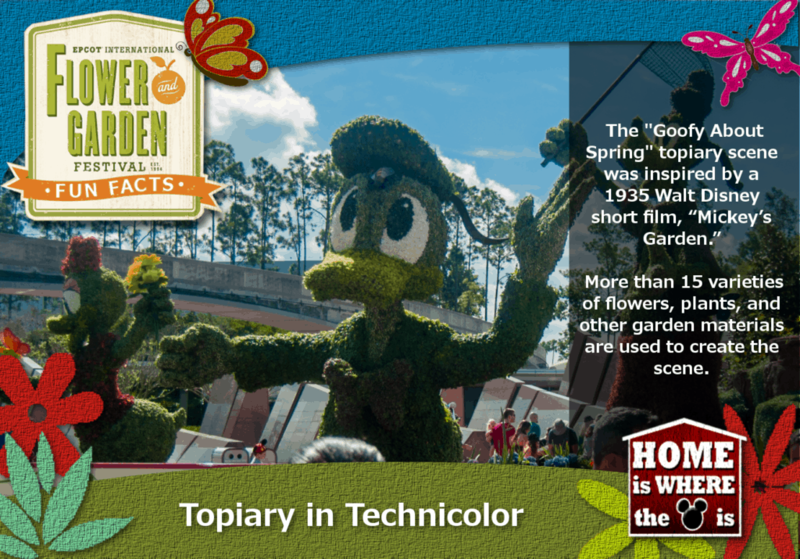 “Goofy in Spring” includes new Chip and Dale topiaries, plus Donald, Daisy, Goofy and Pluto in a comical gardening scene. 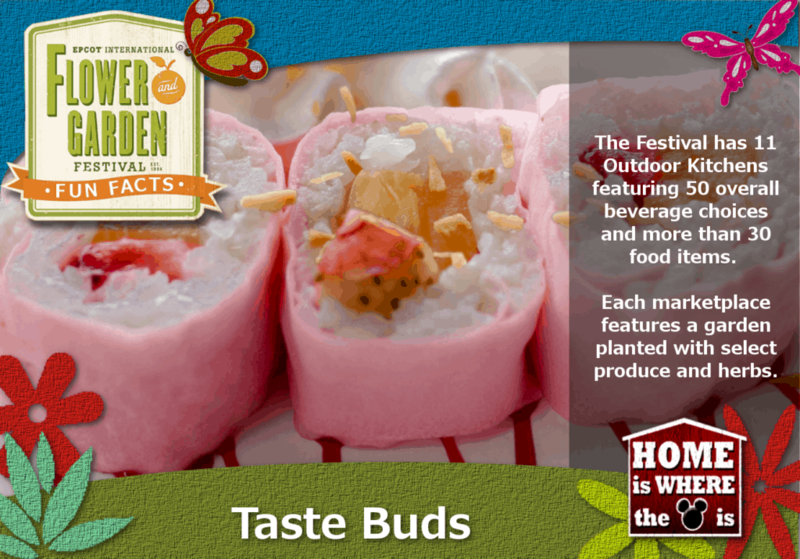 The plants used to created these features include pink and red begonias, dusty miller, palm fiber, palm seeds, ficus and lichen. In the scene inspired by Disney’s Frozen, Elsa is using her magic to conjure a colorful spring garden in the World Showcase Plaza. 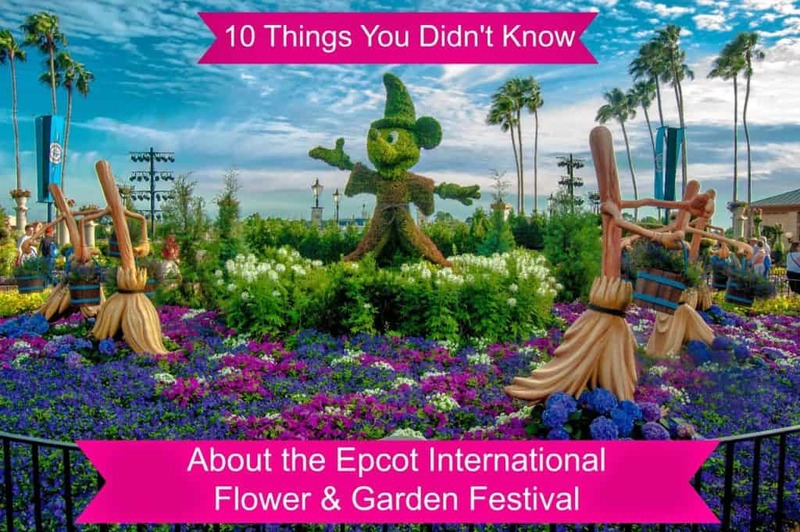 There are about 15 varieties of flowers: Arizona Cypress, Gerbera Daisy and Delphinium give the display a wintry feel. Hot pink, red, and orange Gerberas and yellow, blue and yellow Violas, violet Petunias and purple Dianthus depict the spring transformation. 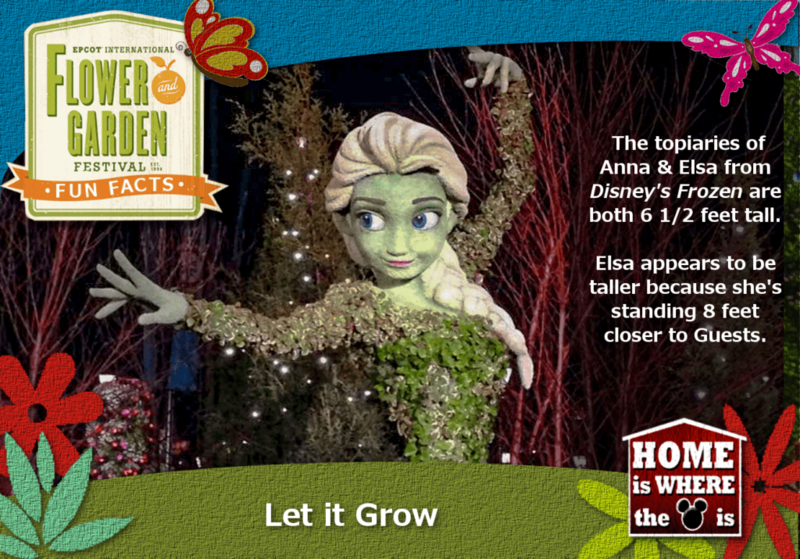 The Anna and Elsa topiaries are made from variegated Ficus, green Ficus and the succulent Sedum Coral Reef. The best part? The display lights up and twinkles at night! 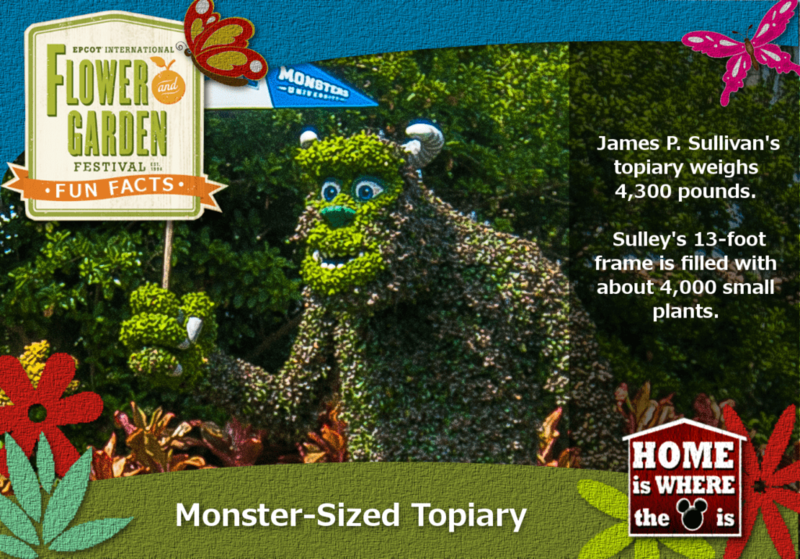 Mike and Sulley’s Monstrous Garden features a playground with innovative play systems. 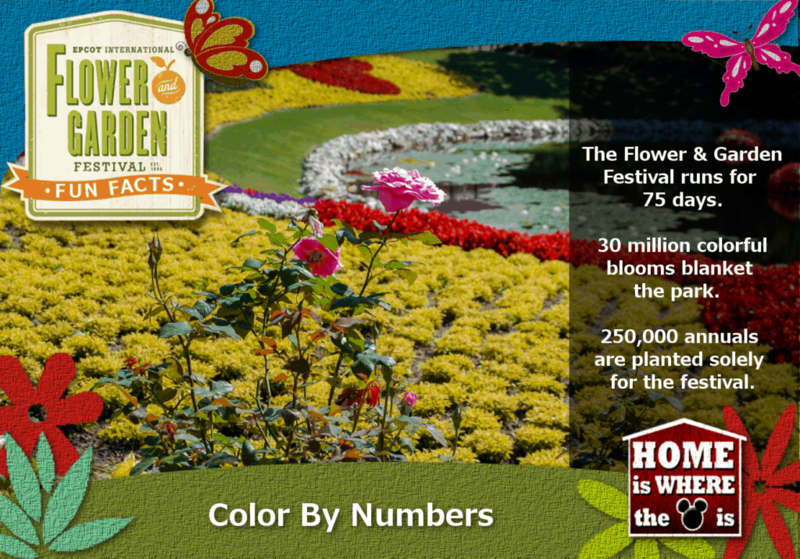 The garden is one of the largest at the Festival, covering nearly one-third of an acre. 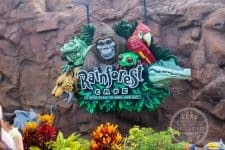 Large, leafy plants such as elephant ears, rubber plants, sea grapes, fiddle leaf fig, banana plants and colorful bromeliads and hibiscus are used to create the garden’s “monstrous” ambiance. 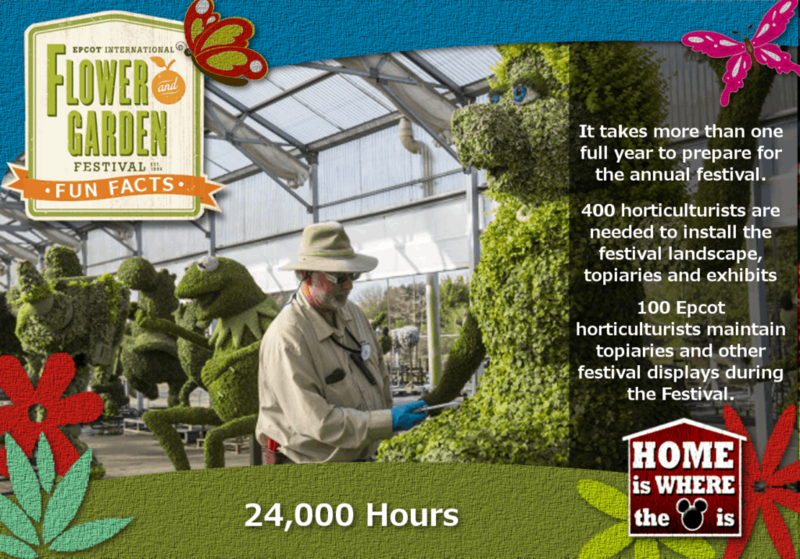 This year, there are 240 extra playground hours add extra festival magic for children and their families with the illuminated garden playgrounds staying open through park closing. 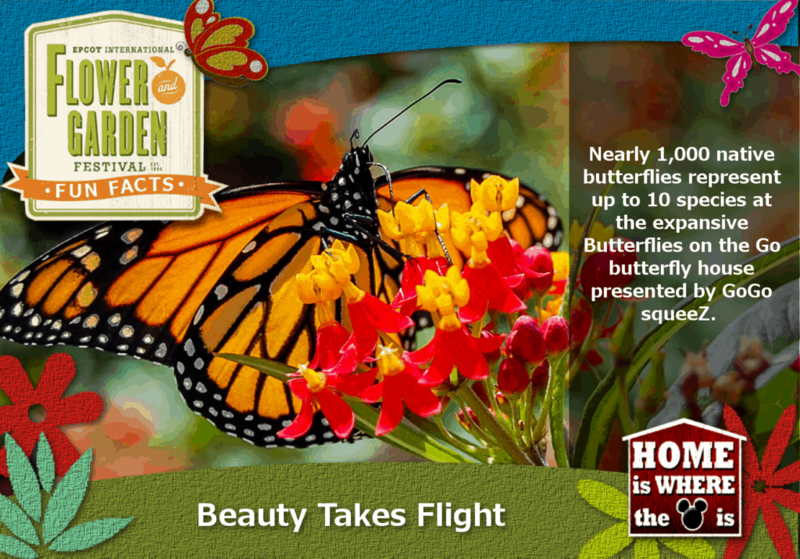 Among the butterfly garden’s two dozen nectar plants are Cape Royal plumbago, passion flower, coral honeysuckle, blazing star, butterfly bush, scarlet milkweed and canna lily. New to the Festival this year is Botanas Botànico, located between France and Morocco. All told, there are more than three dozen brand-new items for your tasting pleasure.